LISTEN NOW! 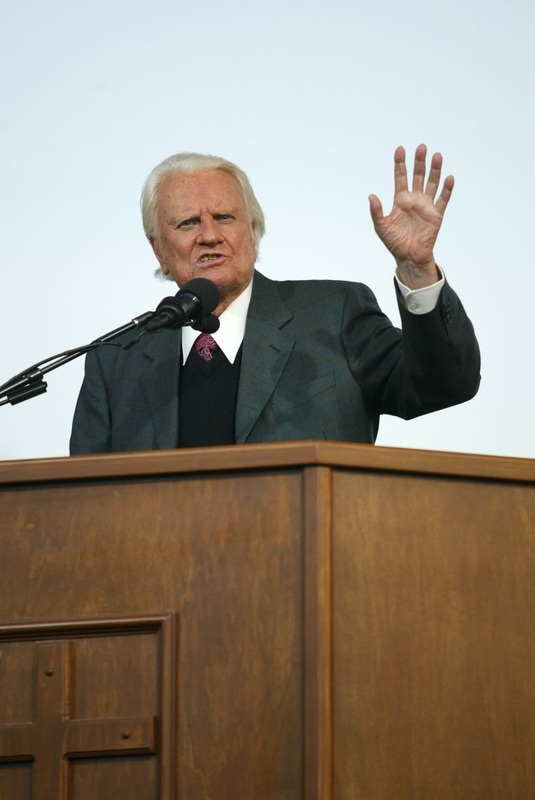 John, Greg, and Pat share about how Reverend Billy Graham at 94 is preparing for his last crusade and continue to share about the power of one for Jesus. The Christian Post reports that”73 percent of National Association of Evangelicals leaders have attended a Billy Graham Crusade, and 44 percent have met the evangelist in person.” Reverend Billy Graham has preached to nearly 215 million people in more than 185 countries and territories around the world. He has also written 31 books and has spoken to numerous U.S. Presidents and dignitaries around the world. This last crusade that is scheduled for November is unique as it will involve Christians inviting friends, family, and neighbors to their homes to share the gospel through videos of Billy Graham. John, Greg, and Pat continue to discuss what the Lord showed Greg about the church coming together in people’s homes. Many have at best attended Christian fellowship once a week and then come back to a home where there are idols, darkness, and sin. We need to have God in our hearts and homes and live a life that fully represents who God is. We were made to have the Glory of God to have it in our lives and homes. The question is what will they find right now in your home? God’s glory is worth it. They continue to discuss the Great Awakening in South Africa and their prayers to see the Great Awakening to come the United States. Dear God, end abortion and send revival.